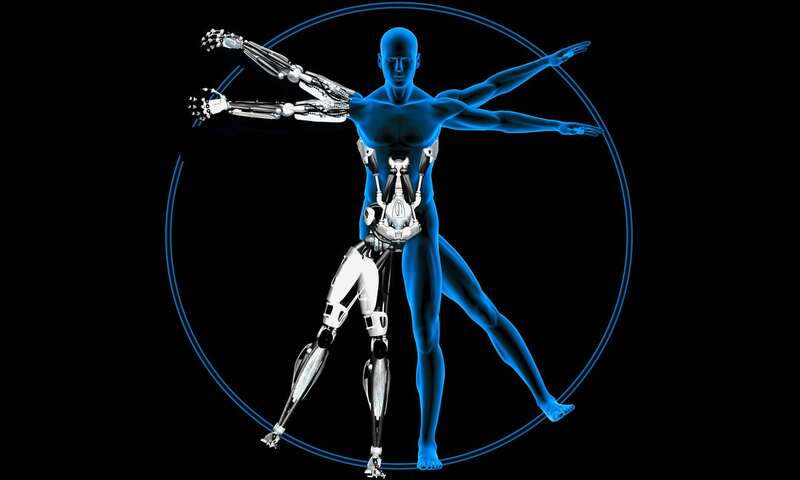 Browse: Home / No death and an enhanced life: Is the future transhuman? Ignore the appeal of “no death and enhanced life”. That’s just an empty promise that hides the agenda of a much darker entity. Known to esoteric Christians and the ancient Persians as Ahriman, in the eyes of adepts this entity is more commonly referred to today as Satan. He is an integral part of the physical world, being particularly at home in the sphere of financial transaction and banking. Hence the old saying that “money is the root of all evil”: which is not to say that money in itself is intrinsically evil, it’s just that Satan/Ahriman’s power presides over certain aspects of the physical realm. Of course his influence extends beyond the physical world but he wants us to renounce our spiritual potential and reduce everything to pure physicality because once we leave this realm his power over us starts to wane – unless we’ve already started gravitating toward him in this life. In which case he has a prior claim over us, so to speak. As senior Freemasons will discover when they pass on. However with the advent of modern technology Satan/Ahriman now has new avenues through which to lay his claim. Think of the modern weapons industry, which utilises high technology, generates billions of dollars and which kills and maims countless innocents. Or the billion-dollar U.S. abortion industry, which again kills hundreds of thousands of innocents every year. In both cases technology has been utilised and moral, ethical and spiritual considerations have taken a back seat allowing Satanic-Ahrimanic impulses to take charge. They may not realise it but adherents to trans-humanism are guided by the same overriding impulses. Sure they don’t gather around upturned crucifixes and chant sinister incantations, that’s just the old way of doing things. Today things are done a little differently and unwittingly perhaps, trans-humanists are still making deals with the devil. Thus in their hope to avoid physical death trans-humanists intend to become ever deeply embedded in the physical world. By its very nature the trans-humanist’s view of life is extremely limited. How else would Satan/Ahriman influence thrive but in ignorance of the fact that life and death are not an end in themselves but part of a much bigger process; which involves, among other things, multiple incarnations, deaths and rebirths? Through sheer ignorance trans-humanists want to stay locked in one particular part of this process. Forever. Never fully realising their true potential as human beings. Apart from thriving in ignorance, Ahriman/Satanic impulses also flourish in blind materialism. It was once seen as greed alone but today grasping materialism can take more subtle forms. Coupled with the notion that the physical world is all there is the trans-humanist’s limited worldview provides fertile ground for Ahrimanic/Satanic urges to take root. There’s a word for intellectual limitation and ignorance, it’s stupidity and esoteric teacher Rudolf Steiner taught that from the 21st century evil would begin to manifest as stupidity. Well, guess what? The unwitting prophets for this new expression of evil have started to incarnate and they are calling themselves trans-humanists. In many cases, these technological or medical advances are made to help the injured, sick or elderly but are then adopted by the healthy or young to boost their lifestyle or performance. The drug erythropoietin (EPO) increases red blood cell production in patients with severe anaemia but has also been taken up as an illicit performance booster by some athletes to improve their bloodstream’s ability to carry oxygen to their muscles. And that is just the start, say experts. “We are now approaching the time when, for some kinds of track sports such as the 100-metre sprint, athletes who run on carbon-fibre blades will be able to outperform those who run on natural legs,” says Blay Whitby, an artificial intelligence expert at Sussex University.